A recap of the first day of ASE29: visions on exploration, education and research. 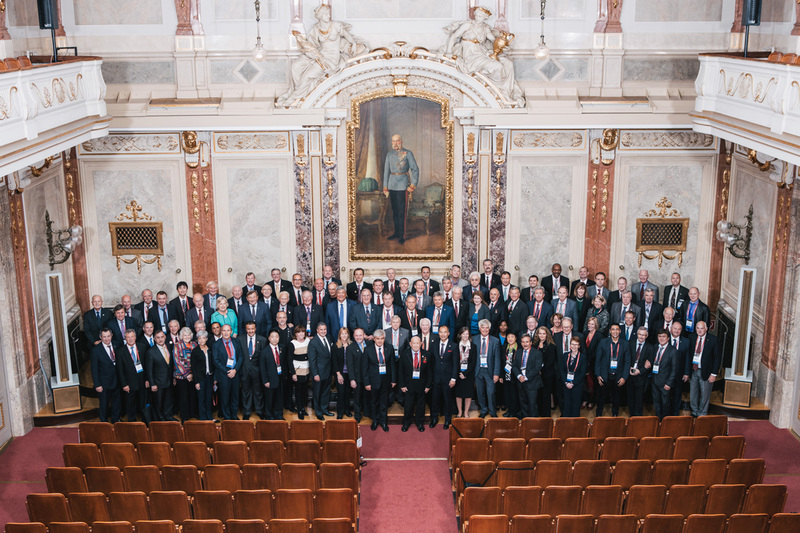 „Born to explore“ – this is the motto of the 29th ASE Planetary Congress. Born to explore – a quote which could be viewed as a reference, from human space exploration, to Mars. “Yet, the person who might take the first step on Mars is already born!”, says astronaut Franz Viehböck, who is the host of this annual event, during the opening ceremony. The ASE Planetary Congress is located every year in a different county. This year Austria is hosting this event as a dedication to the 25th anniversary of the ‘AustroMir’ mission – remembering the first and only Austrian Astronaut who joined 1991 a mission to space. , says Jörg Leichtfried, Federal Minister for Transportation, Innovation and Technology. He highlights some examples, ranging from satellites to thermic isolation systems. According to him, Austria is a small country, but adds big value to the Space Industry. Even the Rosetta mission, which ended last Friday, was using Austrian key technologies. The first technical session of the ASE conference was hosted by Dr. Pascale Ehrenfreund (German Aerospace Center) sharing her perspectives on Future Space Industry, and Dr. Andreas Geisler (Austrian Research Promotion Agency) adding a view on Austria in Space. According to him, it is unlikely that Austria starts an initiative such as “Die Astronautin”. Nevertheless it is worth mentioning that one of the Analog Astronauts of the Austrian Space Forum – Carmen Köhler – enrolled in the German initiative, and combats as one of the last 90 aspirants of the program. Claudia Kessler is presenting the project which aims to send the first german female astronaut to space. The purpose of Kessler is first to encourage young girls to work in scientific fields, and further to increase the number of female astronauts in general. More than 400 women applied for the program which now is challenged by the task to filter out multi-diverse potentials. Michael Lopéz-Alegria promotes the vision of investing more and more into commercial spaceflight. He first states the perspective of having an increased number of commercial spaceflights to the ISS in the following four years. Furthermore, he envisions building up the ‘Axiom Station’ – a commercial Space Station, which might shape a different way of space exploration, which allows governments, private companies, and individual explorers to work in Low Earth Orbit commonplace. The day closes filled with enthusiasm, inspiring concepts, and future perspectives on how human spaceflight should be conducted in the following years. Shared visions are shaped by the integration of multinational programs, a diverse number of astronauts, resulting from different working backgrounds and nations. Commercial spaceflight plays an increasing role among governmental programs, such as programs focusing on supporting female astronauts. The second day of ASE’s Planetary Congress will be dedicated to young researchers and their ideas on space exploration.